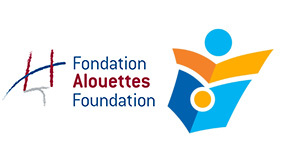 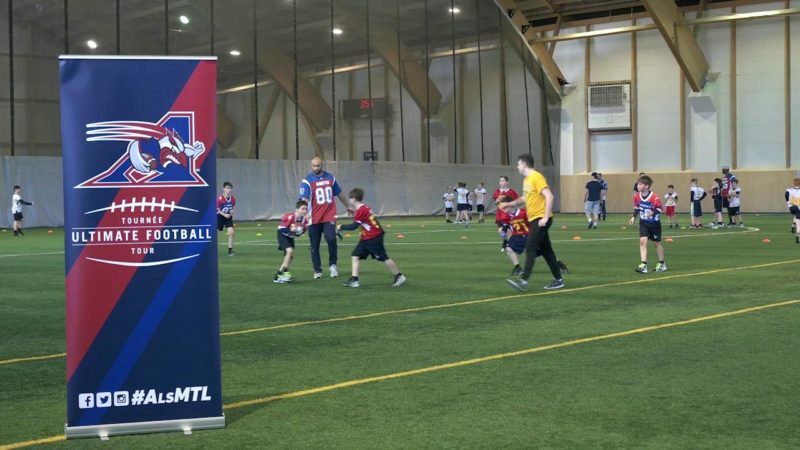 This week, M. Bédard, B. Bede, J.-G. Poulin and H. Richard are touring across Québec to teach elementary school students the fundamentals of football. 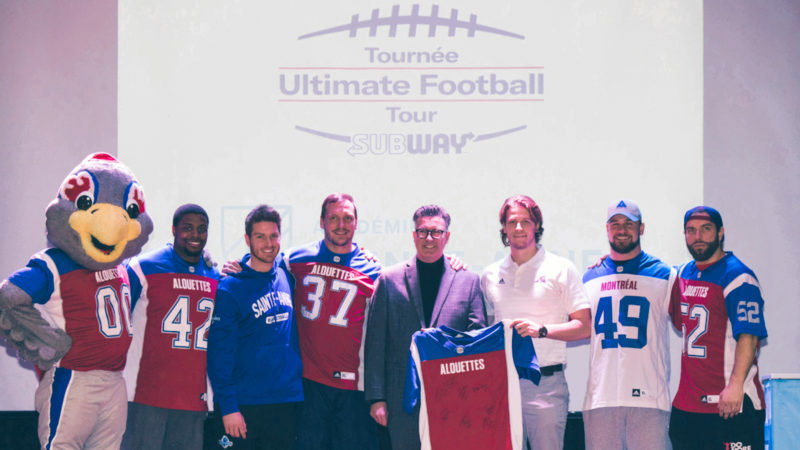 Sharing our passion for football in fun and safe environment is the prime objective of our Ultimate Football Tour. 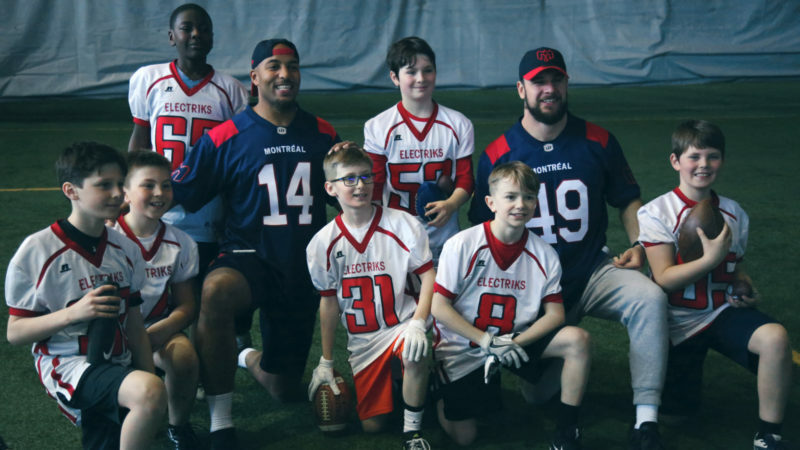 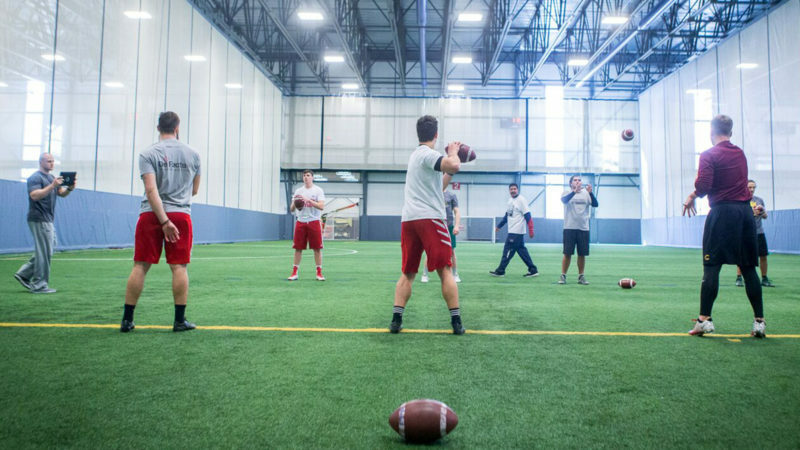 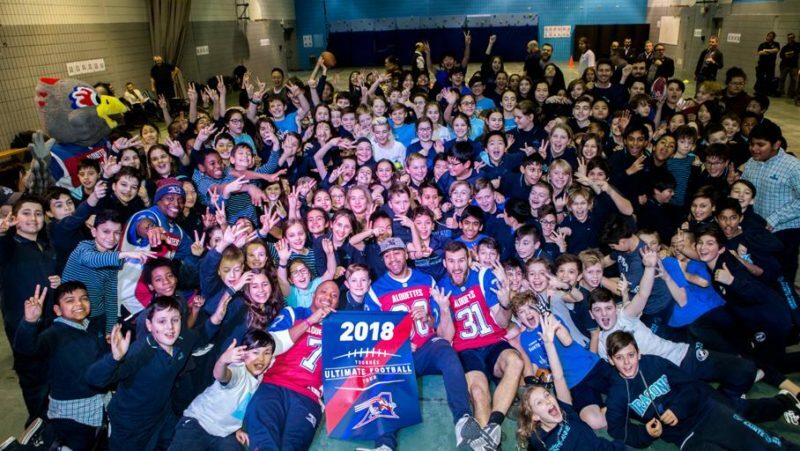 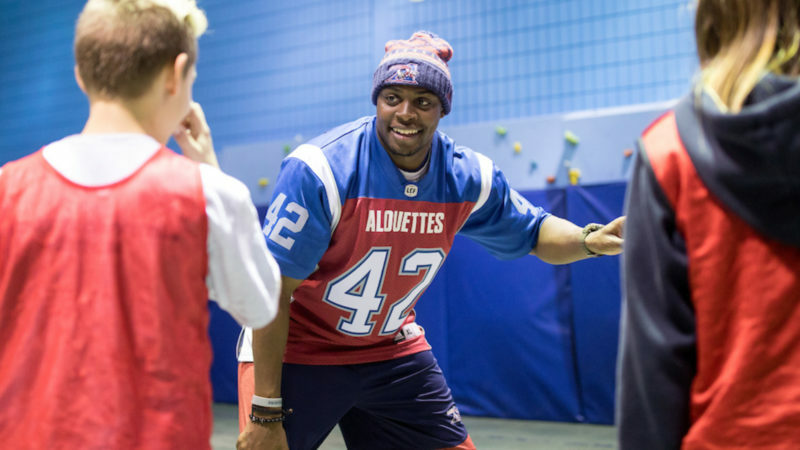 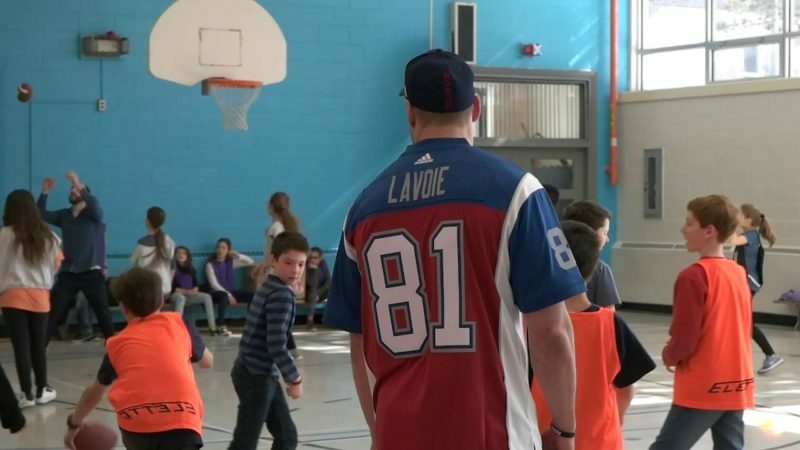 The Montreal Alouettes launched their 2019 Ultimate Football Tour on Wednesday at Académie Sainte-Anne, in Dorval. 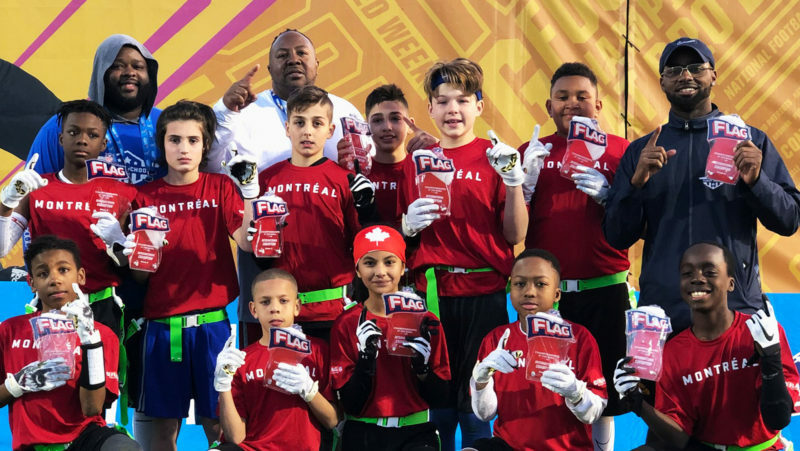 Flight School brought their swagger to the CFL NFL Flag Football Championship in Orlando and brought a championship back to Canada. 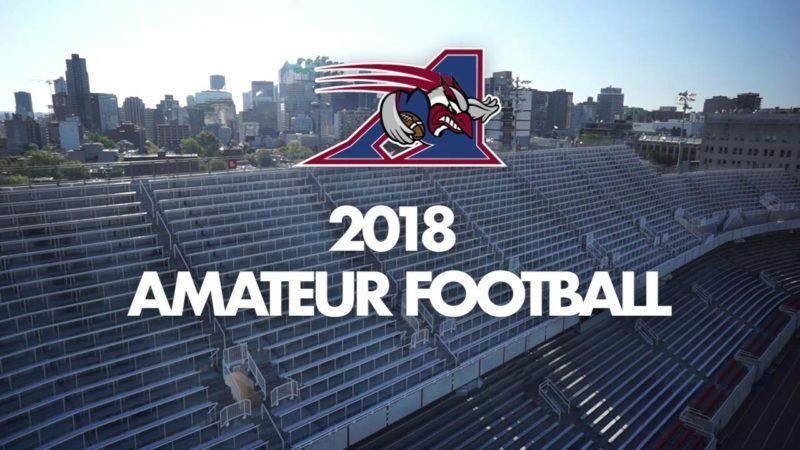 CFL.ca’s senior writer Chris O’Leary writes. 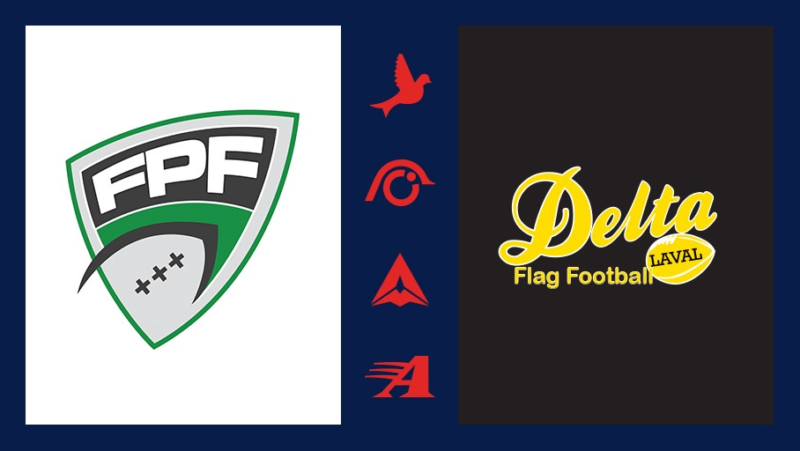 They went undefeated and beat Mexico in the final to take the win in Orlando. 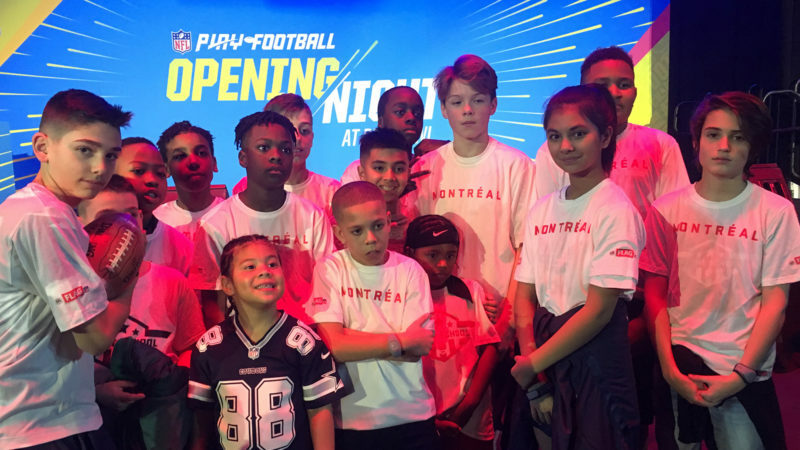 Things have come full circle for Seydou Junior Haidara as he hit the road for our Ultimate Football Tour to give back to the sport that has given him so much. 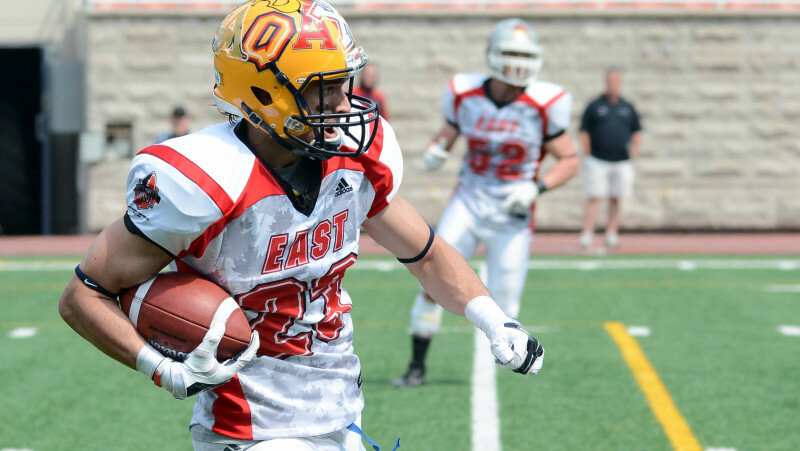 Listen to his testimony. 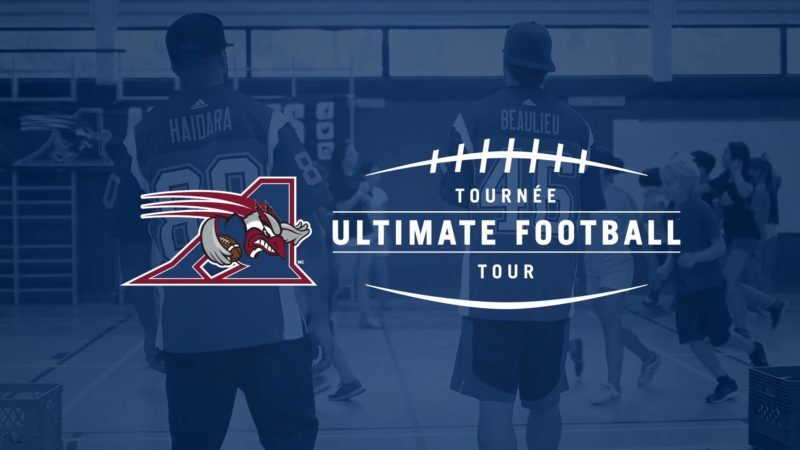 Our very first Ultimate Football Tour was launched yesterday at Sainte-Anne’s Academy elementary school! 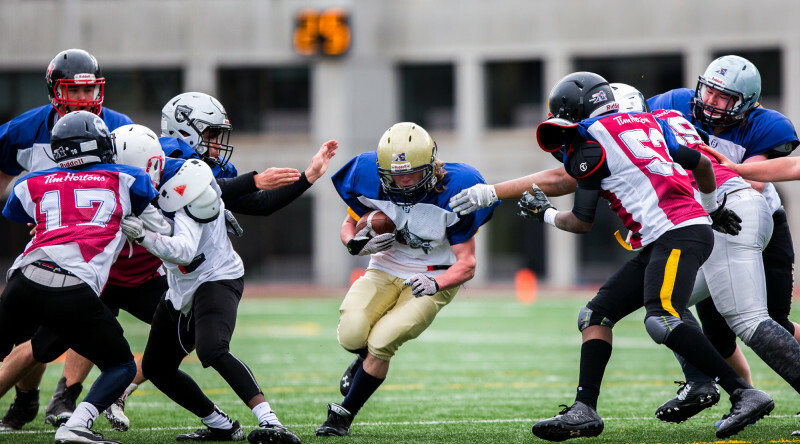 Watch the best moments of this unforgettable day. 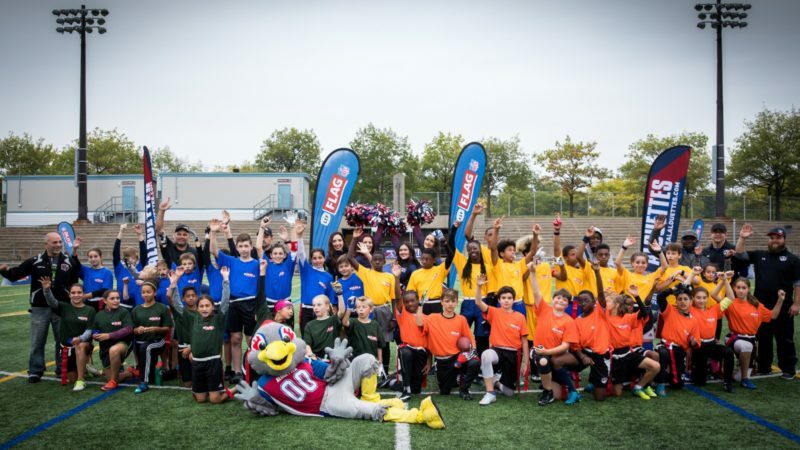 You are invited to the Tim Hortons All-Star Game!